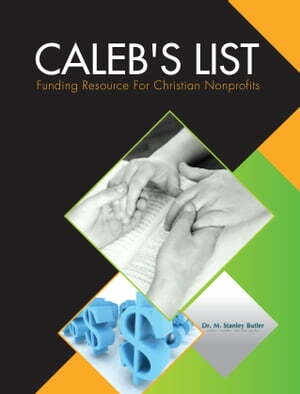 Collins Booksellers - Caleb's List: Funding Resource for Christian Nonprofits by Dr. M. Stanley Butler, 1230001421507. Buy this book online. This is the best resource on the market for churches and faith-based nonprofits who are looking to expand upon their outreach efforts, develop their community impact, or fund needed programs. Caleb’s List: Funding Resource for Christian Nonprofits brings clarity to the confusion of fundraising.